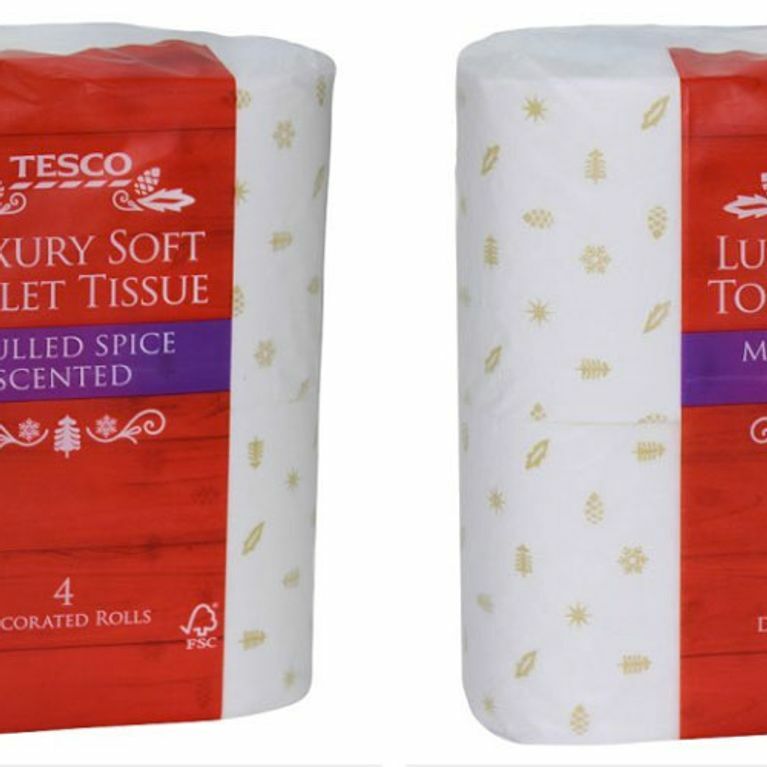 In latest world-gone-mad news, you can now wipe your backside with 'luxury soft toilet tissue' that smells just like mulled wine because there's not enough festive-themed rubbish on the shelves already. It's Tesco we have to thank for making our bathrooms brilliantly boozy this December but are you sold? Picture this: it's the morning after the night before over-indulging in mulled wine at your local Christmas market and you wake up bursting for a wee. If the overpowering urge to vomit isn't enough of a reminder of your impending hangover then the festive-themed bog roll that smells just like mulled wine you're about to wipe your arse with will be. For just £2 Tesco promises to make your trips to the bathroom brilliantly boozy and fantastically festive this Christmas, thanks to its 'luxury soft toilet tissue' rolls that are infused with the sweet scent of mulled spice - citrol, cinnamol, citronella and limonene to be exact. They're also appropriately decorated with festive gold symbols. What more could you ask for in a bog roll? "Our mulled spice scented toilet tissue has a mulled spice fragrance core and a decorated paper for extra indulgence everyday," Tesco says of its latest product but customers have mixed feelings. 4th November and there is mulled wine scented toilet roll in my bathroom??? Several people are also reporting sightings of wine-scented bleach in the supermarket because our obsession with Christmas is officially out of control.